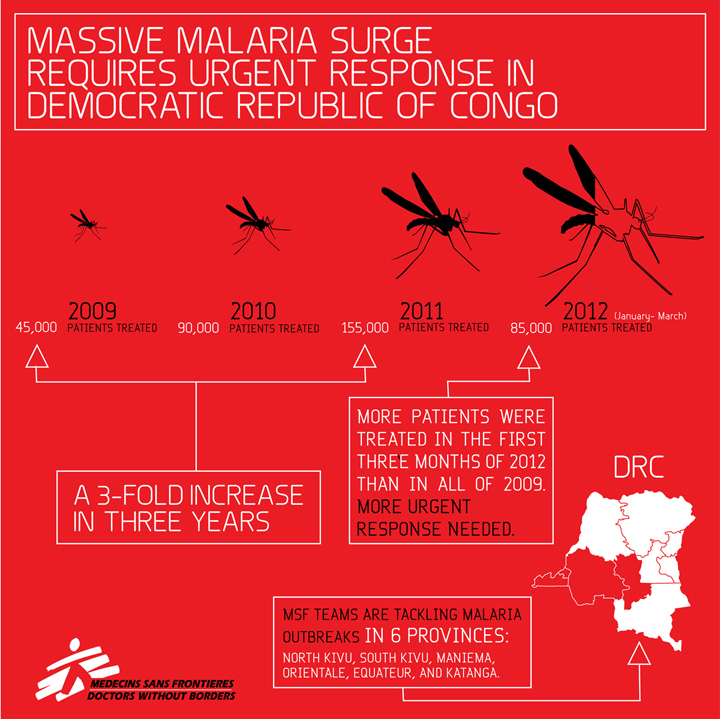 On World Malaria Day, MSF presents in infographic illustrating the astonishing rise in malaria cases in DRC and the urgent need for a greater response. Over the past three years, MSF teams have witnessed a rather astonishing rise in the number of malaria cases in Democratic Republic of Congo. For its part, MSF is now responding to outbreaks in six separate provinces in the east and north of the country, but a wider, more concerted effort is urgently needed to battle this potentially fatal disease that traditionally afflicts the young and the infirm.